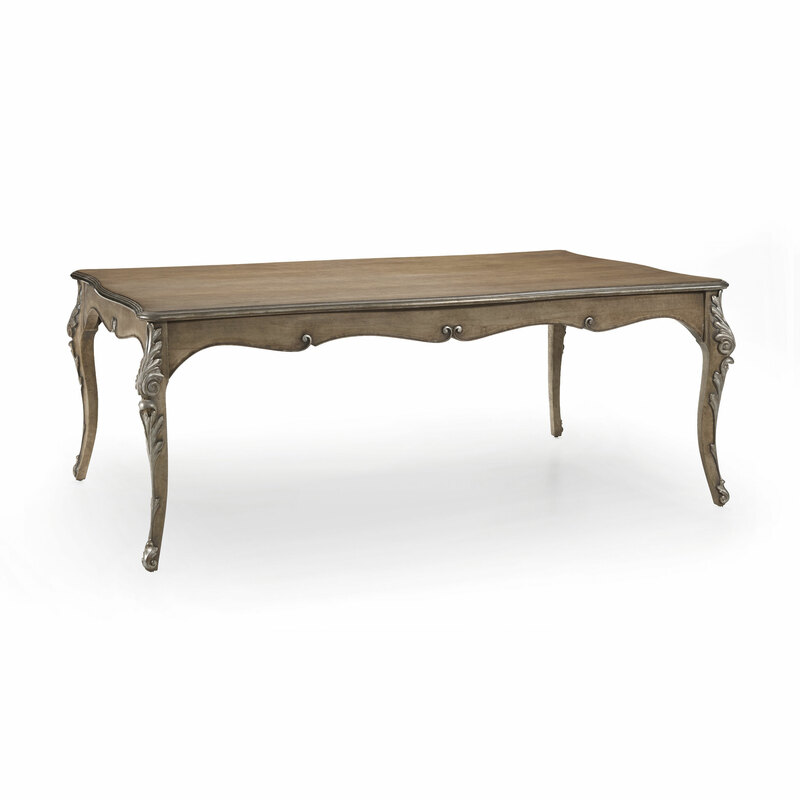 Refined rectangular wooden table that can be easily combined with Classic Baroque style furniture. It features an extendable top mechanism. The carvings on the legs and on the side band can be enhanced with a silver or gold leaf lacquer finish.